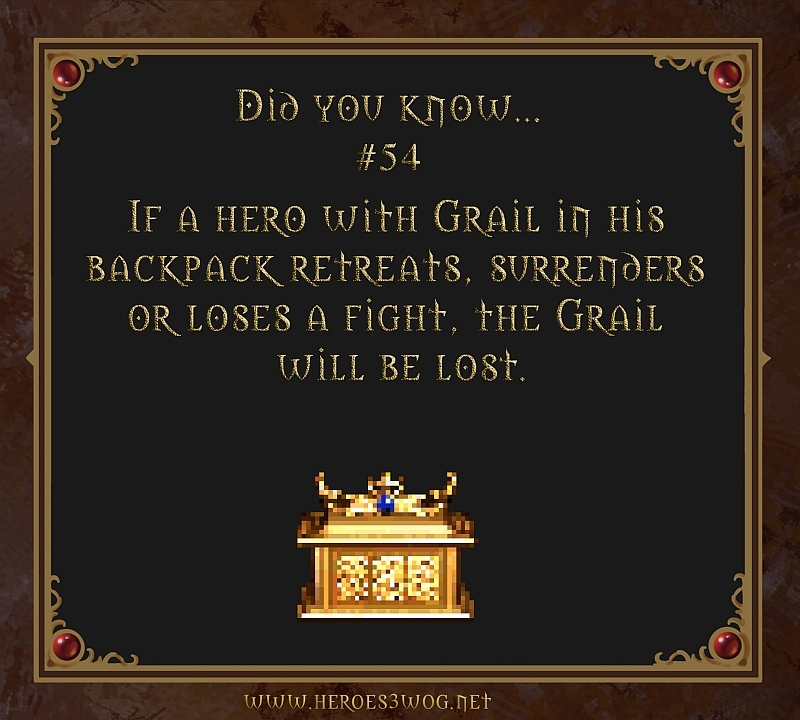 #54 If a hero with Grail in his backpack retreats, surrenders or lose a fight, the Grail will be lost. 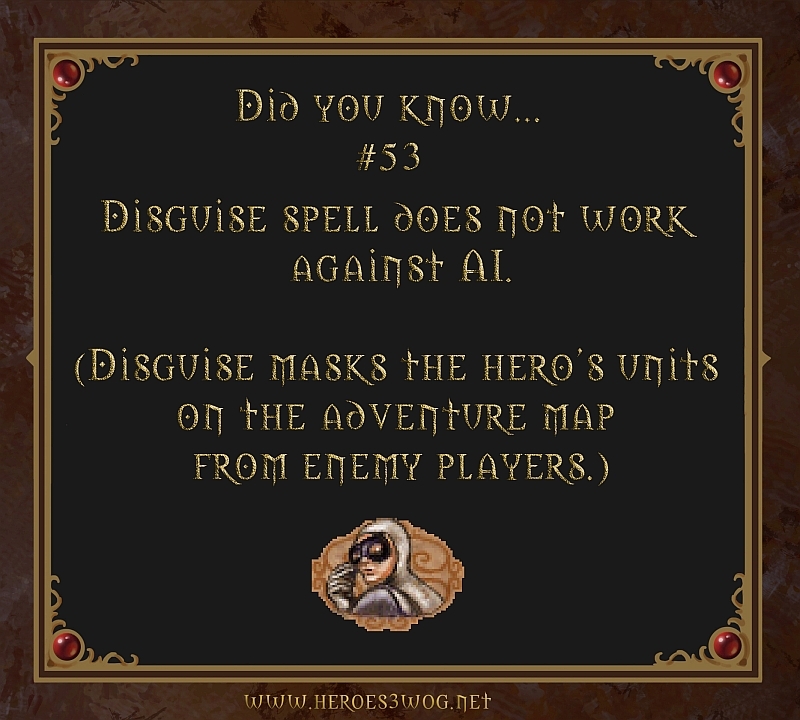 #53 Disguise spell does not work againts AI. 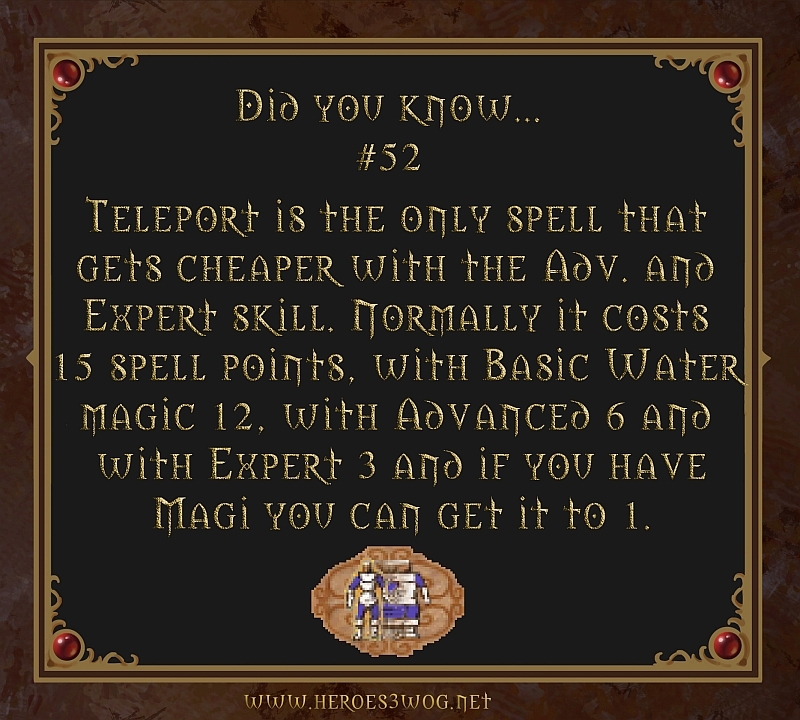 #52 Teleport is the onlz spell that gets cheaper with the advanced and expert skill. Normally it costs 15 spell points, with basic water magic 12, with advanced 6 and with expert 3 and if you have Magi you can get it to 1. 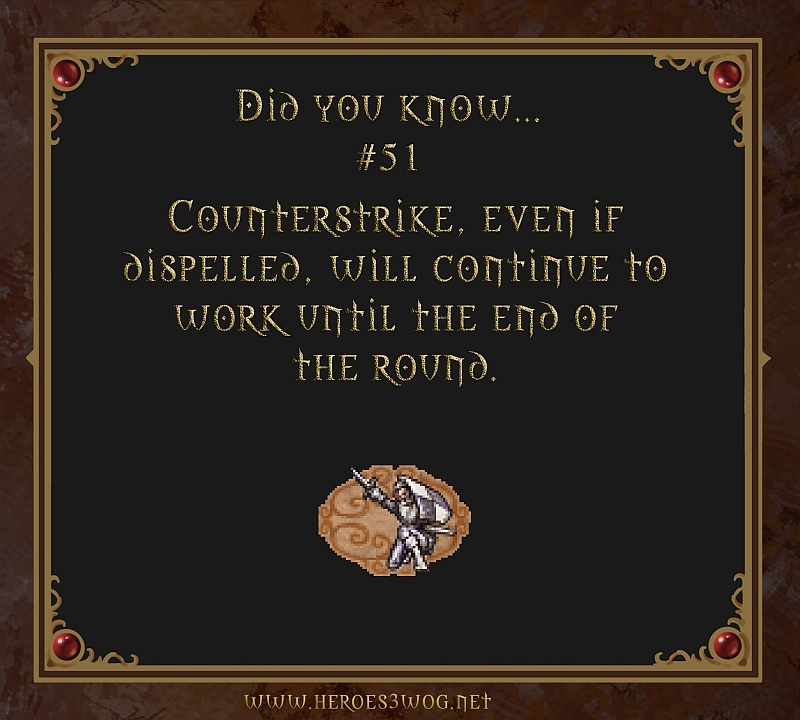 #51 Counterstrike, even if dispelled, will continue to work until the end of the round.